TOP : Health Care & Medical : Specialists & Surgeons : Artistic Symmetry Inc. 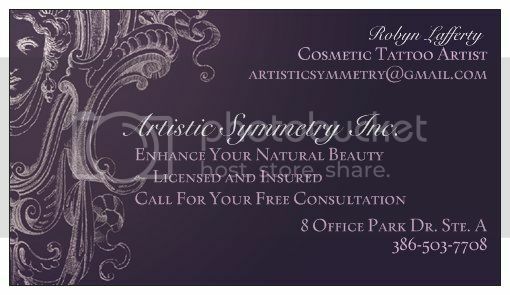 The purpose of Artistic Symmetry Inc. is to enhance a woman's natural beauty through the art of Permanent Cosmetics. 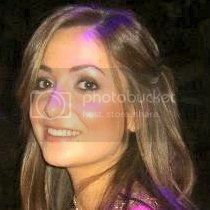 CONSULTATIONS ARE FREE, SO PLEASE COME IN AND FIND OUT WHAT I CAN DO FOR YOU! If you are facing challenges with your vision, dexterity related conditions, or if you simply desire a soft and natural enhancement to your appearance, you may benefit from Permanent Cosmetics. Also, women who are going through the process of breast reconstruction surgery can rely on Artistic Symmetry to provide beautiful and natural looking results in a clean and comfortable environment. Besides being Licensed and Insured, I also received more than 5X the amount of hours in training than the state requires in order to obtain a license, all to ensure I had happy and satisfied customers each and every time. MENTION PALMCOAST.BIZ AND RECEIVE 10% OFF ANY SERVICE!